I'm a fruits + veggies artist now. 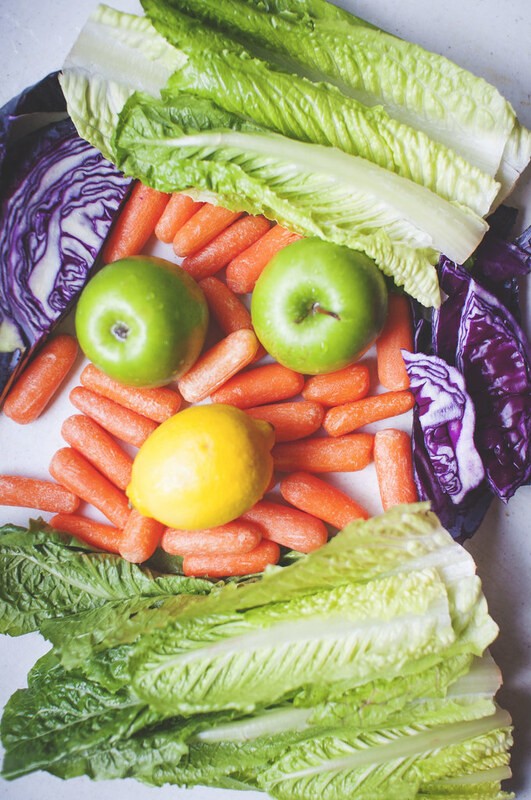 Portrait of Stephen in carrots, romaine, cabbage, apples, and lemons. 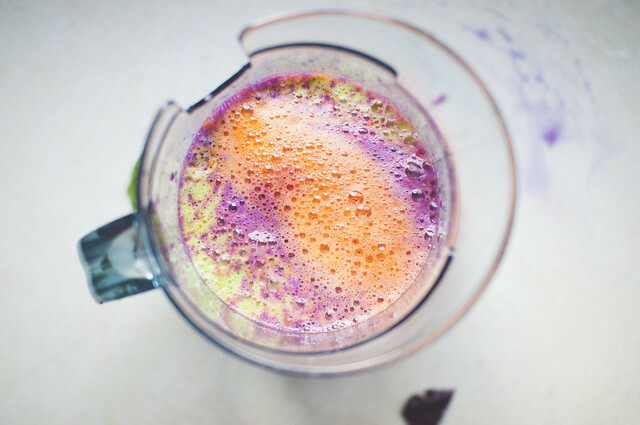 Mix this up to make a colorful beverage that serves 2-4. This combination was inspired by a Curious George episode I watched with Ada. George becomes interested in a local juicer's recipes and decides to create his own. One of his mixes is a huge hit. His special ingredient? Cabbage! And it's really quite delicious and beautiful, isn't it? As you can probably tell from my recent explosion of juice posts, the whole process/drink is addicting. I'd say we drink homemade juice every three days or so. 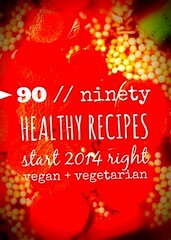 We try to keep it as veggie-heavy as possible to cut down on excess calories and sugar. A little lemon zest or ginger can go a long way toward brightening the flavor of vegetables. 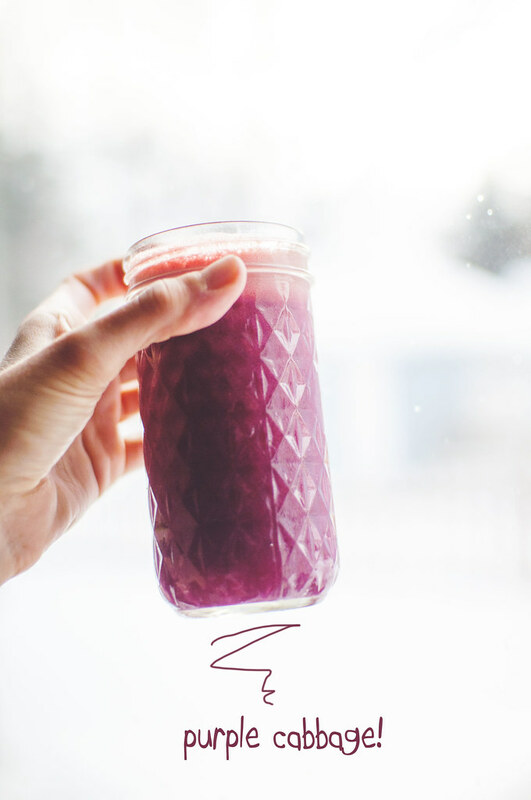 And beets, for example, have their own natural sweetness, all while boasting high levels of potassium, magnesium, phosphorus, iron, vitamins A, B & C, beta-carotene, beta-cyanine, and folic acid. George is such a clever little monkey. I might just have to try out his actual recipe from this episode! I'll be back tomorrow with an earthy garlic knots/pizza crust recipe featuring pure cabbage juice. This one is a KEEPER, you guys! We're in love with it -- plus, it's PURPLE!